CampagnoloR has created the Comp Triple 10 speed kit for the needs of those who own high range groupsets. 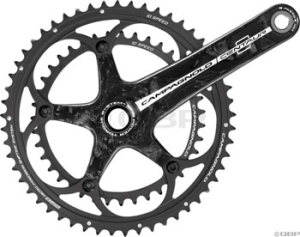 For use with the Comp Triple Crankset. Hollow spindle with alloy cups. 233 grams. Campagnolo SUPER RECORD Rear Derailleur Excellent!